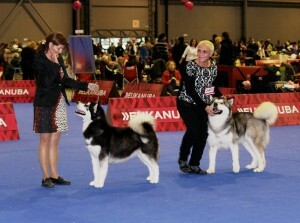 Incredible Dundagas Best became the fourth best Alaskan Malamute female in champion class in EUROPEAN DOG SHOW, BRNO – 2014 (Evropská výstava psů na BVV v Brně). I am very proud of my girl. Thanks to the judge Cheryl Paterson Canada. 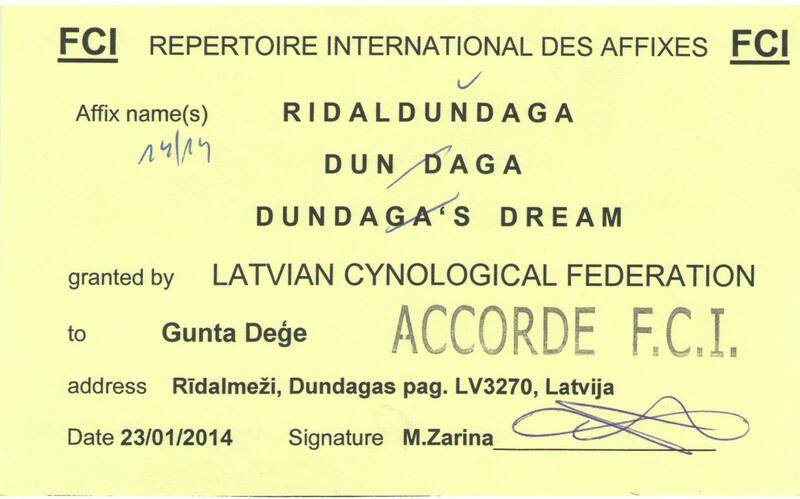 Incredible Dundagas Best bija ceturtā labākā suņu meitene čempionu klasē Eiropas suņu izstādē Brno – 2014. Incredible Dundagas Best had excellent and was one of the five best female in champion class in World Dog Show Helsinki – 2014. Incredible Dundagas Best bija viena no piecām labākajām suņu meitenēm čempionu klasē Pasaules suņu izstādē Helsinkos – 2014. FCI šķirnes nomenklatūra. ALASKAN MALAMUTE (MALAMUTE DE L’ALASKA, MALAMUTE DE ALASKA, АЛЯСКИНСКИЙ МАЛАМУТ). Répertoire international des affixes FCI. If you would like more information about my Alaskan malamute dogs and Russian blue cats, please contact me.